I think Cliff is racing himself to be the coolest dad on earth. 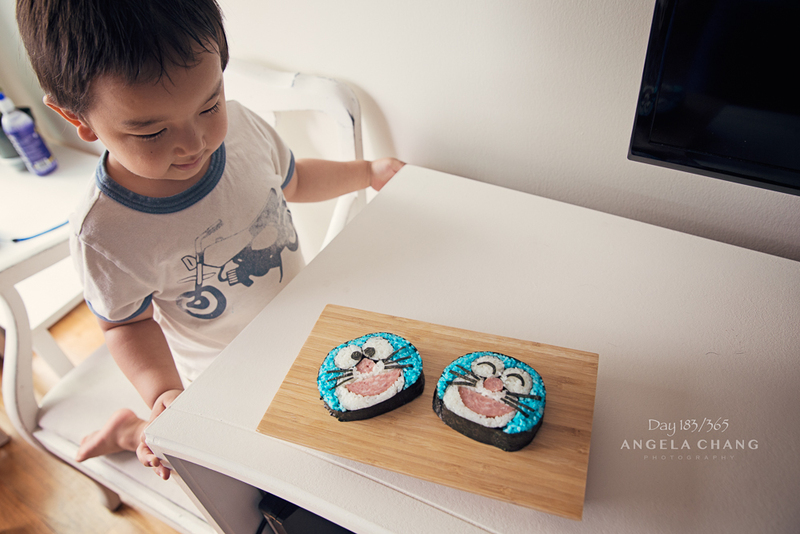 He made this sushi based on Joshua’s favorite Japanese cartoon character, Doraemon. Josh does like sushi, but I have never seen him THIS eager to eat sushi before. I was barely able to fend off his little hands to get one photo of the sushi. He was literally drooling right here.